The best way to get to know a community is by scheduling a tour. See the facilities, meet the staff and residents, and get a feel first hand what it's like to live at Lloyds Above All Nursing Home Care. 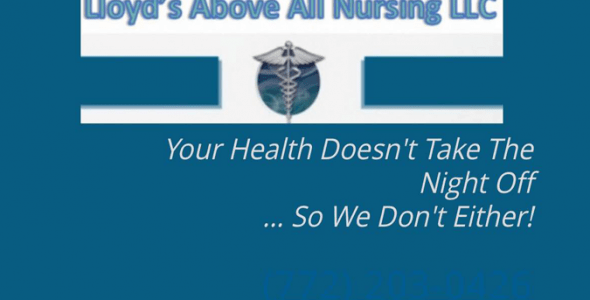 Lloyd's Above All Nursing provides the finest home health care in the county! With over 15 years of experience, Give us a call today for your free in home consultation.Quality You Can Trust, Compassion You Can Feel Lloyd's Above All Nursing private Home Health Care is a licensed home care agency and supplemental staffing service offering a full range of in-home care for the elderly, sick or homebound in vero beach fl in Indian river County Fort Pierce Port St. Lucie Palmbay Sebastian We offer personalized home care solutions designed to meet our client’s individual needs, provided by our trusted team of certified home care professionals. Our primary goal is to keep you safe, healthy, and living in the comfort of your own home. Find out why Lloyd's above all nursing is the right choice in home care.